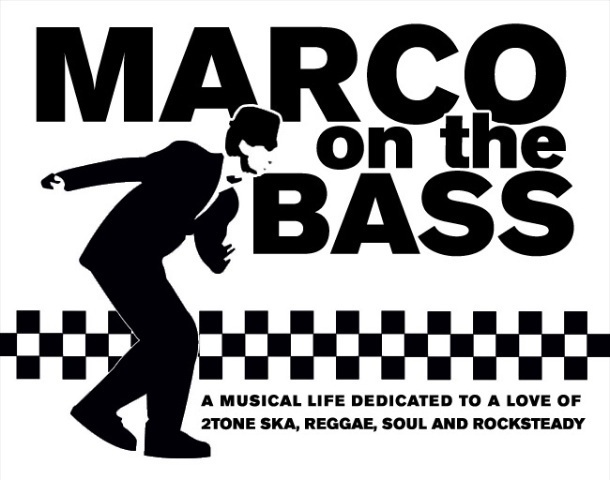 Marco On The Bass: Love Madness? Love Their Music? Now You Can Dress Like Them Too! Love Madness? Love Their Music? Now You Can Dress Like Them Too! As we all wait patiently for news on the release of the new Madness album "The Liberty of Norton Folgate" here is news every self-respecting nutty boy and rude boy will appreciate. Now, not only can you listen to your favorite Madness songs you can dress the part while doing so. Let me introduce you to the fine gentlemen at Ace Face Clothing Company. These chaps have brought back the classic tonic suit and they are ready to put you in one. 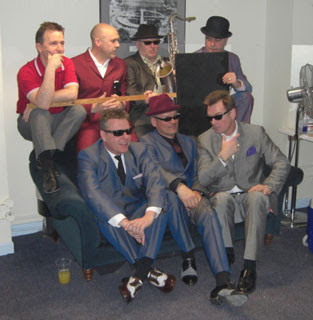 Not only that, they are the official tailor to Madness (see picture above) who will be wearing Ace Face suits during their December 2008 UK tour. They also outfit those 21st Century Rude Boys in the Dub Pistols. 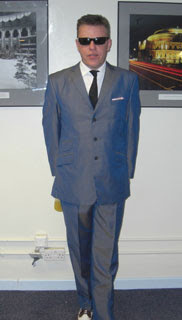 As background, fashion drove the mod and 2-Tone scenes and though fashion trends changed rapidly, there were some common denominators: the tonic suit, traditionally three-buttoned; Harrington jackets, Sta-Press trousers and Levi jeans (brought onto the scene via cash-strapped Black American GI’s in West End clubs); mohair suits and Cuban-heeled shoes; quasi-military attire such as parka jackets, suede desert boots and RAF t-shirts; pork-pie hats from the West Indian rude boys; the essential American-style button-down shirts, which at its most pristine was Brooks Brothers, or Ben Sherman for best of the rest; splashes of colors everywhere, maybe white jeans, a pale yellow shirt; perhaps blue or stripped or chequered. Most importantly, was the attention to detail which changed often: maybe one week it would be a six-inch vent on the suit jacket, maybe next week eight-inches, maybe bowling shoes, or perhaps a feather in the cap. The variations in style were not noticeably to the ‘outsider’, but they mattered to the in-crowd. You can learn more about Stuart, Marc and Gary who run Ace Face at their MySpace Web site here.